One of the new cool things in SharePoint 2010 is the fact that we now have relational lists. In my previous article about List Joins, I talked about how you programmatically can fetch and join information from more than one list with the improved SPQuery object. 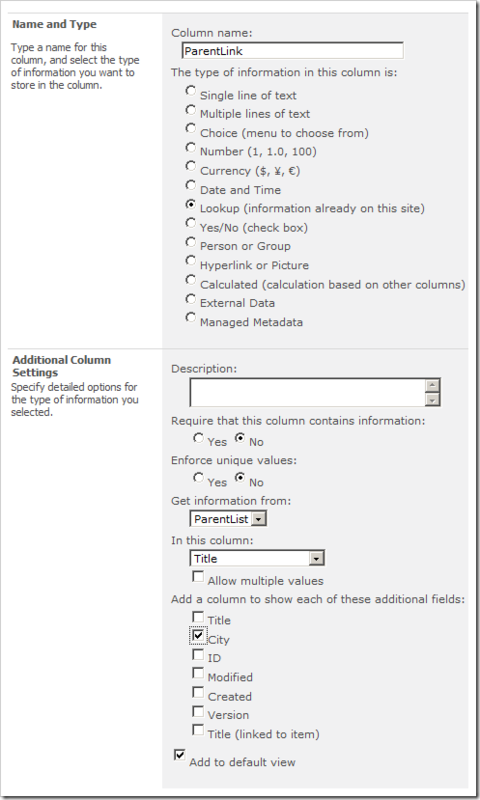 In this article I will give you an overview of what capabilities you get out of the box when installing SharePoint 2010 – in terms of relational data in lists. By utilizing Lookup fields in SharePoint 2010, we can enforce a relationship behavior that we previously would have to work very hard to achieve. 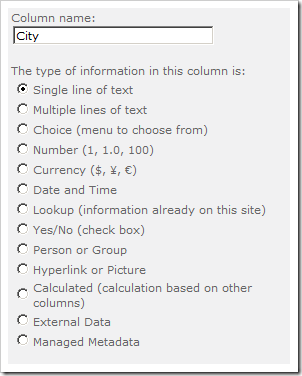 As mentioned, we have the capability to create relationships between lists in SharePoint 2010. This is quite easy to do using the browser UI, which I will soon demonstrate step-by-step. With projected fields we have the capability to pull information from a parent list into the view of the child list. 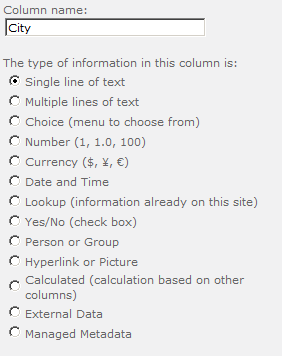 This basically mean that you can reference and display information from a parent list, in your child list. The fields are Read-Only but enables you to get a much nicer joined view. 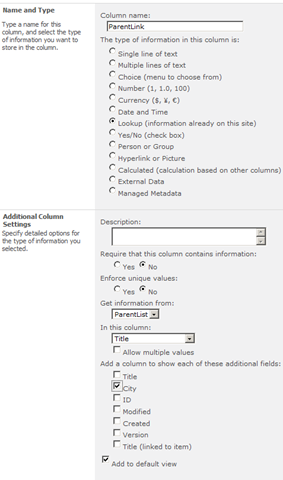 With SharePoint 2010 and relations in lists, you would of course wonder how it handles the relational integrity. E.g. what happens if I delete or try to delete something in the parent list? **Basically the restricted delete option enables you to enforce a behavior that means that you can’t delete any items that have relations from the list. E.g. if the item you’re trying to delete have a bunch of child-items, you cannot delete them. **Cascade delete on the other hand, means that when you’re trying to delete an item which has relations – it’ll delete the related items as well. "If I delete an item in my parent list and have cascading delete so all my child items are deleted, how do I restore them if I made a mistake?" Alright – so we’ve covered some of the basics of relational lists, nothing fancy. But now we want to create some lists and have relationships between them – so let’s get on with it! Create a new Custom List named "ParentList"
Create a new Custom List named "ChildList"
Please note that I checked the City checkbox. This will create a Projected Field against the lookup automatically so you can view that information which exist in the parent list – directly in the child list. What about enforcing relational behavior? I’m glad you asked. When you create (or change settings for) a lookup field (like the "ParentLink" field), you have the ability to change settings for the relational behavior. From this dialog as you can see, you have the ability to make the necessary settings for your fields. Note, that you have the icon that looks like a relational diagram in your recycle bin – this means that you’ve deleted an item that may have deleted linked items. If you restore this item (in our case, TOZIT) it will automatically restore all of the items that were originally deleted. So, we have the kind of enforced relationships we’ve longed for since the dawn of days! Voila. Easy as 1-2-3, you have created two very simple lists and created a relationship between them – and optionally you can enforce this relationship using the "Enforce relationship behavior" settings for Restrict Delete or Cascade Delete.